The play was low-budget, Subhadra was played by a man (the play was an echo of bygone era when only male artistes dared to be onstage! ), who was atleast 12 inches broader than Arjun. The artist playing Arjun was a mediocre TV actor, and not in my league of ‘favorite gentlemen’. And yet, in the darkened theater, I sat transfixed and entranced by the magic of Arjun (click here for Arjun’s influence on my life). Pulses quickened, my palpitations audible, a delicious tense knot coiling within me, I reveled in Arjun’s charisma , intact and vibrantly alive across a span of 6000 years. I was not merely audience at a theatre. I was the passionate Draupadi, the enamoured Subhadra, the lusty Uloopi, the rebuffed Urvashi. Does this happen to you? Transfer of emotions from an unattainable idol to an actor? 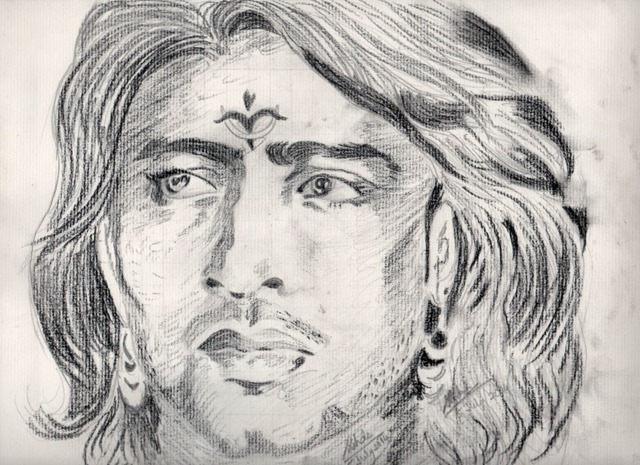 I always harbour a soft spot for an actor playing Arjun. Irrational and illogical, but I cannot escape it. Only, instead of going to the extreme (as in Vanaprastham), I am content to capture them in carbon sketches. Here are two of them: Arjun Feroz Khan in B.R Chopra’s and Shaheer Sheikh in Siddharth Tewari’s Mahabharat serial. Arjun is a historical figure, not mythological. Krishn (click here for my take on Krishn enigma)-Arjun are as much factual as Chanakya-Chandragupta or Samarth Ramdas-Shivaji Maharaj. But even fictional, literary characters can take root & wings within our hearts as live beings. 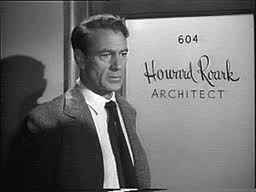 When Gary Cooper played Howard Roark, I was sorely disappointed. Roark’s ‘inflexible integrity’ was translated by Cooper as ‘inflexible facial expression’. In contrast, when Margaret Mitchell created ‘Gone with the wind’, she envisioned Clark Gable as Rhett Butler and did he vindicate her! 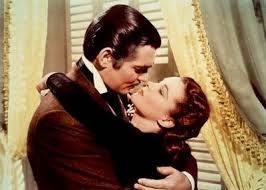 Frankly, my dears, can you imagine anyone else mutter, ‘Frankly my dear, I don’t give a damn’ ? Jeremy Scott (and more recently Benedith Cumberbach) and Sherlock Holmes. 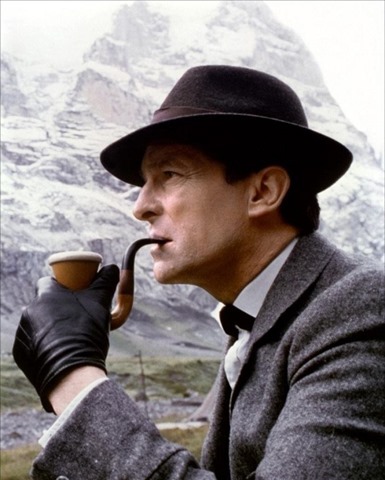 I never wonder if the actors possess one-tenth of Sherlock’s IQ, but I still attribute all of Doyle/Sherlock’s genius, deductions and eccentricities with them. Amitabh Bachchan and Vijay – where did one end and the other begin? Amitabh’s smoldering voice, the gaunt figure, the barely leashed fury was synonymous with Vijay, the ‘rebel with a cause’ of Bollywood. Shahrukh Khan and Rahul/Raaj Malhotra – who apes whom? Whom does the audience root for? 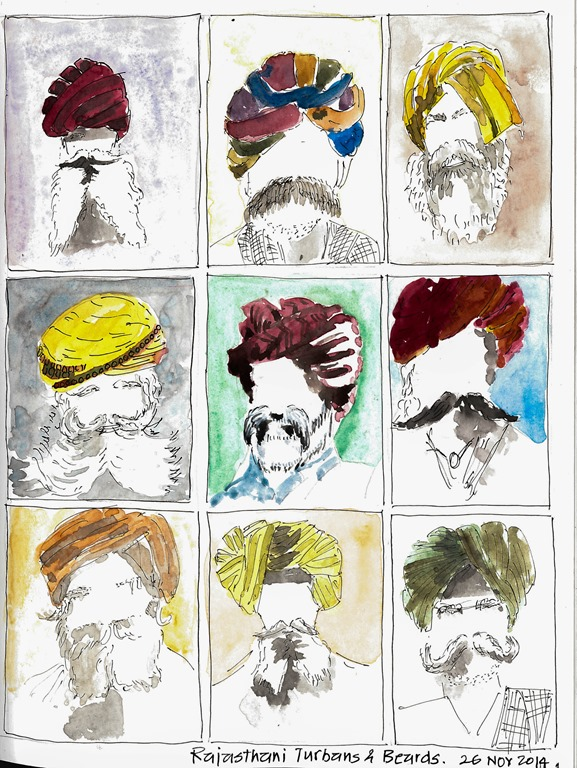 Ben Kingsley and M. K. Gandhi; Pierce Brosnan and James Bond; Amjad Khan and Gabbar Singh. The ‘visible’ actor often thrives on multiple ‘backstage’ artistes. The writer who pens crisp lines, the singer who strums his flexible vocal cords, the lyricist who waxes Sufi & Urdu (never mind if the protagonist is illiterate, a goon, a Don or a professor), the Director who visualizes the film and the producer who funds the vision. Yet, the actor becomes the face & voice of these collective talents, the poster boy of borrowed/pilfered/stolen/unacknowledged talents. Can you be objective to an actor portraying your beloved historical/ fictional character? Which is your ‘wow’ and ‘yuck’ literature-to-film portrayals? Do you transform into a casting director every time you read a book? e.g. How does Alexander laugh? Did Arjun lift one eyebrow when in doubt? Some actors (???) are so narcissistic (I needed spell-check here). They just end up playing themselves. Imagine Samrat Ashoka stuttering like SRK. P.S: Did Alexander ever laugh? Unless he was celebrating another conquest, I mean. Hepastion was taller & handsomer , wasn’t he? Does anybody not remember ‘Krishna’ played by the actor Nitish Bharadwaj? He was so revered that people would touch his feet wherever he went. For all i know he probably even started considering himself holy and godly with all the attention. of course we remember Nitish Bharadwaj. His face is synonymous with the mental image of Krishna. His Sanskrit diction was perfect and so were his facial expressions. And Swapnil Joshi as teenager Krishna. 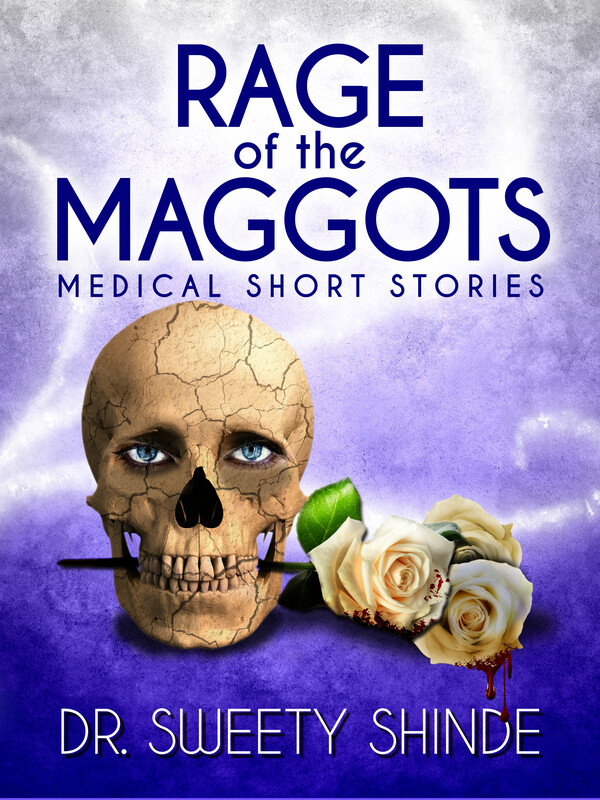 The final editing is underway, which will be followed by book cover design and formatting etc. So, most probably in Jan-Feb 2015? Fingers crossed!!! Words are meaningful when they resonate within someone else. I’m glad the emotion and clarity translated well from mine to your mind. Thank you for the warm words. 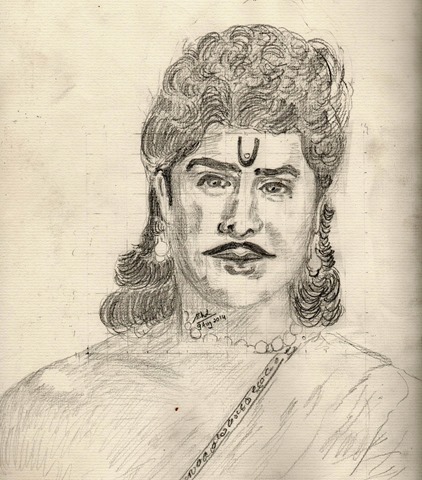 What you experienced is something that every actor of classical indian theatre would like to recreate, anubhava of “rasa.” My hero is Karna. Actors experience it differently, and viewers experience a different Rasa. Hopefully, most actors are so immersed in their Rasa, that they would not even realize the existence of an audience. As for Mahabharata, it does offer a wide plethora of characters to chose as idols. To each his/ her own. Sweety the very definition of the rasa, is it does not belong to the creator, nor to the person who experiences it is a moment of anubhava where the mundane steps back to let you experience the divine and it is a different experience each time because the bhava-anubhaava- and the anubhava(experience) that allows the creation of rasa is different. Wow! You know quite in-depth about it. Does it come from dance training? What I meant was anu-bhava (experience). The creator may express Bhaya (fear) without feeling it, while audience is expected to feel it as reality, not as abhi-naya(acting). So bhava may be the same, but anu-bhava is different? Of course, this is my humble understanding of it. There are some actors who totally immerse within the acting and become one with the act. And there are others who skim the surface and remain untouched themselves yet giving depth to their audience. What we nowadays call as spontaneous vs method acting, perhaps? But one thing, I don’t like it, or to be specific hate it when ac actor cannot match my imagination of a character in his potrayal. Shaheer Sheikh’s potrayal of Arjuna was one of the worst potrayals (acc. to me.) I do not mean to hurt anyone. Do write more soon Sweety! 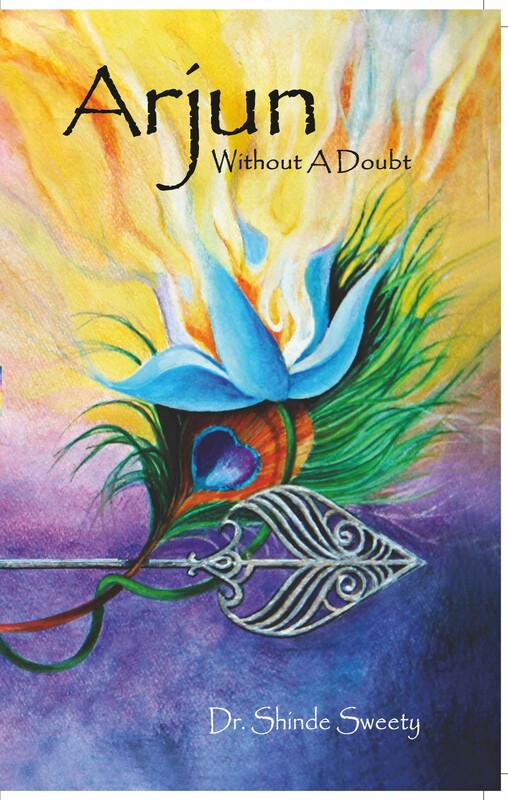 Eagerly waiting for Arjuna Without a Doubt to release! Agree completely – Once you love a character, you have a definite face and form attached to it in your mind. Anyone who falls short of expectations becomes the greatest disappointment. The Star Plus TV serial was so way off the mark and so incorrect, that I gave up seeing it very early on. However, I agree that Shaheer, while being quite picturesque, had ample need for improvement in acting and dialogue delivery department. Watch this space more for book release!